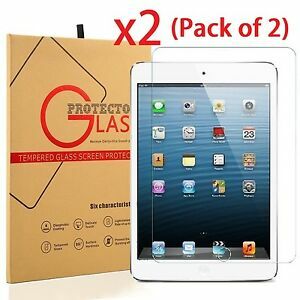 Details about 2-Pack Tempered Glass Screen Protector For iPad Air 1 & 2 (9.7") / iPad Pro 9.7"
2-Pack Tempered Glass Screen Protector For iPad Air 1 & 2 (9.7") / iPad Pro 9.7"
Fast shipping., item is good. Great quality!! Fast and excellent price.